I’ve never skated before. What class should I take? It's always safest to start with Snowplow Sam 1 (for ages 3-5) or Basic 1 for ages over 6-12. Adults and teens 13 and over can begin in Adult 1. The best part of starting in the beginning is that the Coach evaluate your skills and move you along to the next level if it is determined that you can perform the skills in Level 1. Level 1 classes will prepare you or your skater for moving forward, stopping and moving backward. Most importantly, we teach the skaters to fall safely and get up quickly. Wear lots of layers-turtleneck, sweatshirt and coat. You can always take a coat off, but if you don't have it and want it, you'll be in trouble. All Sports Helmets are suggested for all Snowplow Sam classes, Basic 1-3 and children under the age of 8. Mittens or gloves keep hands warm and dry. Have a pair of ski pants or a pair of "skating pants" to change into for class. Pants sometimes get wet from the ice, so bring an extra pair and be prepared to change clothes if necessary. Skates - rental skates are available at the Skate Counter for a small fee. When should I purchase my own skates? A skate should not be purchased with more than a ½ size of growing room. The more control the skater has over the skate, the easier it is to skate. If you take care of your skates, you can probably sell them for about ½ of the purchase price. Contact the Skating Director if you have questions about purchasing skates. Look for promotions and discounts on Facebook and in your e-mails. 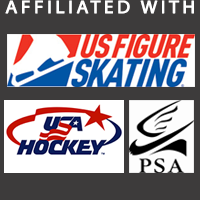 Referral of a skater registering for 2 sessions rewards you with a 10% discount on your next session. We prefer to give your skater as much attention as possible. For safety and learning we limit Snowplow Sam 1 classes to a maximum of 5. Snowplow Sam 2 and the Basic Skills classes are limited to 8 skaters. Freeskate 1 and more advanced classes may have more skaters, however, these skaters are typically older, much more advanced, understand the safety rules, and are aware of other skaters and surroundings. Cincinnati Skating School is a non-profit organization, we cannot prorate fees to accommodate for a missed class. Cincinnati Skating School does not offer make-up classes as not all classes are offered on all days/sessions. What if I’m in the wrong class? There's no such thing as being in the wrong class. Our experienced and knowledgeable Skating Coaches will evaluate your skills and place you in the correct class. Classes will meet with the Coach off-ice for the first day. Subsequent days, have your skater go to the Coach in the class meeting area on the ice. Rental skates are included in your class fee. When it does come time to purchase your own skates, please contact the Skating Director or your Coach for advice regarding what to look for and where to purchase a satisfactory pair of skates. What size rental skates should I wear? Rental Skates are often unisex so try ½ - 1 size smaller than your shoe size and work towards your shoe size. Remember, a snug fit will allow more control over the skate and make skating easier. Avoid wearing bulky socks with skates. How do I take care of skates? Unlace your skates all the way down and wipe out the inside, wipe off the blade, the plate and the sole with a towel, place a terry cloth soaker on the blade for storage in the skate bag. Upon arriving home, take the skates out of the car and unzip the bag to let the skates breathe. Never keep skates in the car…the heat and cold are hard on skate life. When walking to the ice, wear plastic hard blade guards. Wear booties to cover your skates while skating. Booties will keep your skate from getting knicks and scratches. Sharpen skates about every 6-8 weeks if you skate 2-3 times per week. If you skate once every other week, sharpen the blades less often. What should I wear for freestyle/figure skating? 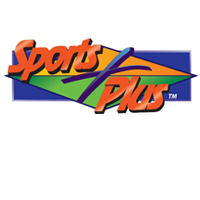 Sports Plus has a Pro Shop that sells skates. Contact the Skating Director for information about purchasing skates and proper sizing. Skates are available online, however, beware of the refund policy. Be sure you know what brand and size you desire to purchase. Just like shoes, brands and sizes differ. Where can a skater practice? "Freestyle" ice is reserved for skaters working on jumps, spins, Moves in the Field (MIF) and Dance. Traffic travels all over the ice and paying attention is important for the safety of ALL skaters on the ice. "Open Family Skate (public skate)" is a time for skaters to skate, get some exercise, listen to fun music, and share time with family and friends. Traffic moves in either a clockwise or counter clockwise direction. Jumps, spins, MIF and Dance are inappropriate on this ice as not all Open Family skaters are experienced skaters. 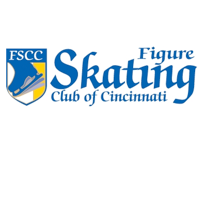 "Club Ice" is freestyle ice offered by the Figure Skating Club of Cincinnati (FSCC) for its members and guests. Please check the FSCC website for skating times. How many private lessons should a skater have per week? This is based on how often the skater would like to skate. Start with one day and add more days as the skater asks to skate more often. Avoid pushing too hard right away. The rule of thumb is practice three sessions for every lesson. Basic Skills Skaters should practice one hour for every group lesson. Booster lessons are available if you are having difficulty with a skill or need additional help to pass a level. Contact the Skating Director for assistance. What age to skaters begin to enter competitions? Is my skater emotionally ready to handle 1st or last place? Does my skater understand win/lose or competition? Can my skater skate a program without the Coach on the ice? Can my skater remember a choreographed program to music? Can you support and encourage your skater in a positive manner? How often should I skate to prepare for a competition? If a skater is interested in a Basic Skills Competition, maintain your regularly scheduled lesson and add a Competition Lesson and a competition practice. Remember, the skater is going to want to continue to progress and practicing a competition routine during her normal lesson will slow his/her progress. How does a skater get into a competition? The first step is to hire a Private Lesson Coach. The Coach will help you decide which competitions to go to and at what level. The Coach will assist with the completion of paperwork, choreograph the program, teach skills that are required for the level and provide music for the competition.